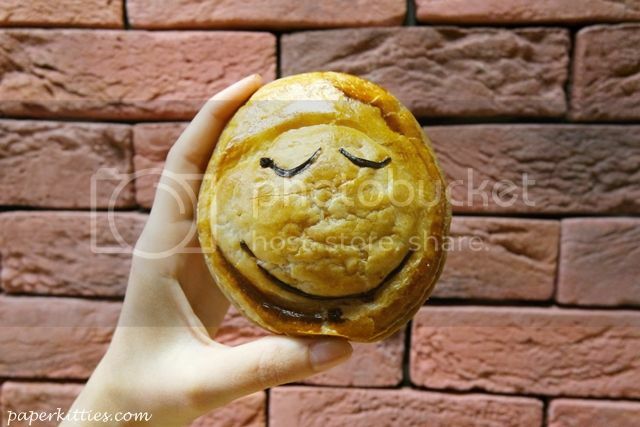 Peeps who used to study and/or work in Australia (especially Melbourne & Sydney) should be very familiar with this.. the world’s largest pie chain, Pie Face! Finally arriving in Singapore just in time for me to reminisce on the good old down under days, there can now be found in 313@Somerset and Bugis Village. 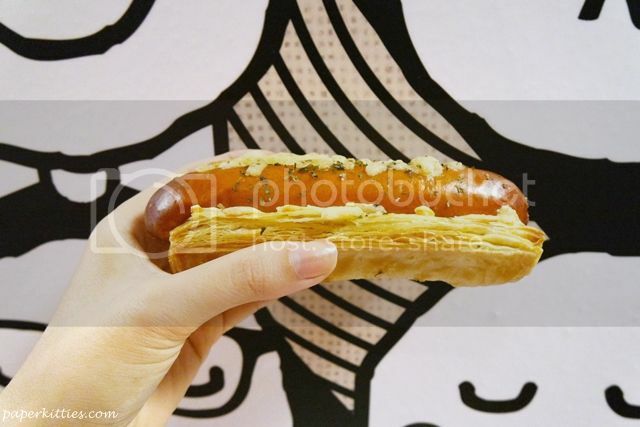 Established in Sydney, this micro-bakery cafe is best known for baking all its pies from scratch using traditional French Puff Pastry with Australian comfort food for fillings. 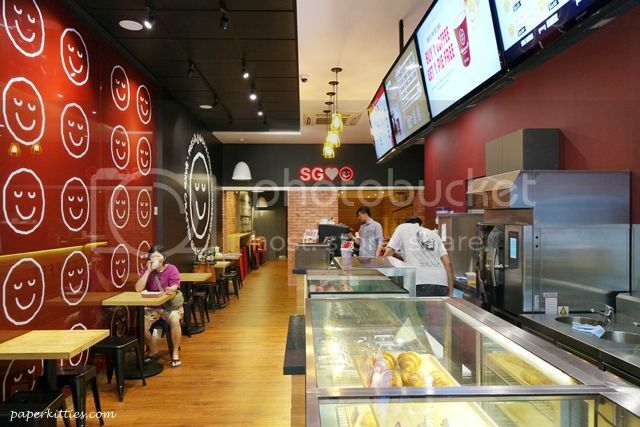 The flavors that are currently available in Singapore include Chunky Steak, Chicken & Mushroom, Thai Chicken Curry and Tandoori Vegetable – comes in both regular and mini sized starting from $3 each. 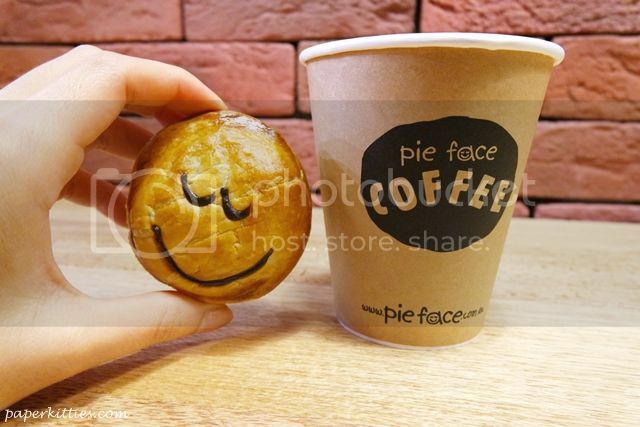 Each pie comes with a different cute facial expression for an instant perk-me up! The chain also serves their pies in two ways: usual cardboard sleeves or “stacks”. The latter is a must-try for the authentic aussie experience: pies topped with mashed potatoes and/or peas with gravy! They were also my boyfriend and my comfort food during our mini backpacking days. Must try ok? !